Located in the heart of Jacksonville's Southside area, Citigate Apartments is the ideal place to call home! Citigate offers upscale one, two and three-bedroom apartment homes, featuring large floor plans with modern wood-finished cabinets, stainless steel appliances, crown molding, a full washer and dryer and private terrace or balcony. 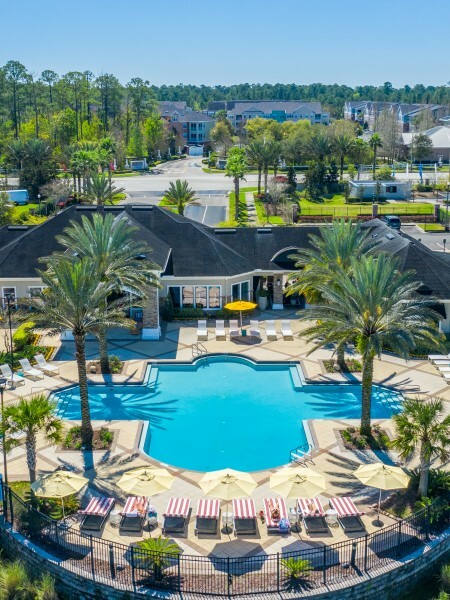 Our Jacksonville, Florida apartment homes are centrally located, right off of 95, close to downtown and just ten miles away from Jax Beach. Cinemark Tinseltown and XD Movie Theatre are just down the street, as well as Town Center, the largest shopping and dining are area in Jacksonville, Florida. Greensfield Elementary, Southside Middle, and Inglewood High are nearby. Another option for schooling is Duvall Charter Scholars Academy for elementary and middle school aged children. University of Northwest Florida is about 15 minutes away while Florida State College of Jacksonville is about ten minutes away. 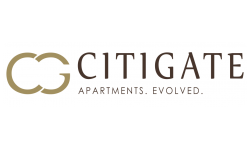 Find modern luxuries and unexpected perks at Citigate Apartments, such as elevators in every building, daily coffee service, and free Wi-Fi in common areas. Residents will enjoy the Club, featuring a fully-equipped athletic club and an interactive spinning room. In addition, we have a swimming pool with dive-in theatre, cabanas, and fire lounge, plus Bark Park. Citigate Apartments offers upscale one, two and three-bedroom luxury rentals, featuring large floor plans. We have 6 modern floorplans options which range in size between 804 square feet to 1411 square feet. We have attached garages at an additional monthly fee. We charge a $350 pet fee for one pet and $500 for two. We also charge $15 for pet rent monthly.